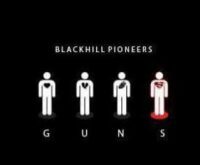 Home - Alternative Tracks "In a music world of ‘junk food’ pop (quickly produced, poor quality and easily forgotten) I want to support alternative tracks I believe do deserve to be listened to"
Essex four-piece Blackhill Pioneers are about to release their third single, 'Guns' will be released on December 11th. The new release is the follow up to 'Miles' that came out in June, and is the first track from their upcoming EP, due for release early next year. Fans expecting the Pink Floyd influenced rock sound of 'Miles' will be in for a surprise, Sandwiched somewhere between synth pop and indie-rock 'Guns' sounds a bit like a poppier version of MGMT. As bassist Ben Frost explains "we try to change it up from song to song whilst still keeping it sounding like us. Once the whole ep is available you'll see what it's all about"
Intelligent, well composed, beautifully layered and balancing something vaguely melancholy with something still uplifting, this slice of shimmering indie-pop from Watercolours is a damn fine listen.With its glistening guitar picks and lush synth waves 'Feel Tomorrow' is the debut release from the three-piece from Cheltenham and at last finds recognition for the talented Conal Kelly. 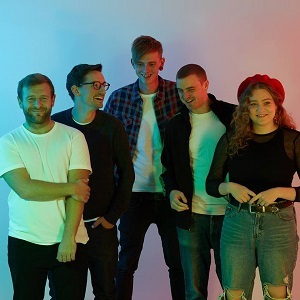 Alternative Tracks has featured the talented Kelly for a couple of years, with his solo work and last year’s release 'Undercurrents', under the band name Sahara Breeze. Now, with Matt Sharlot and Hamish Woolley, he appears to have found the perfect moniker, Watercolours. 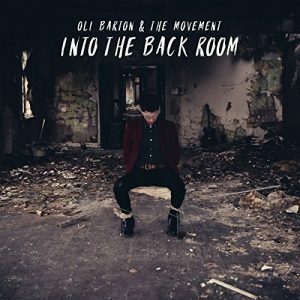 Oli Barton & The Movement have cultivated a time machine within their debut album release, abandoning all modern music ideals to craft a deliciously dark auditory experience brimming with creativity, investigating the possibilities of the indie-rock landscape. 'Into The Back Room' may lack a certain subtlety at times but that only makes it stand out from the rest, placing it right at the forefront of noir-streaked indie rock. After the charm of their self-titled debut EP, Brighton-based Orange Soul have just released a sublime new single 'The Haze'. Orange Soul is talented brothers Henry and John Tydeman, bringing to our ears a sumptuous fusion of folk and pop. These two young men know how to craft songs with intelligent lyrics and produce music with a mesmerizing quality. Full of shimmering melodies in a lush piano soundscape that slowly build and hypnotize, 'The Haze' is woven with the siblings’ magnetic vocal harmonies. Recalling the foggy haze of John’s experience going in and out of hospital, whilst undergoing a gruelling tonsillectomy, the lyrics deliver a subtle darkness with dulcet immediacy. Spain is full of hidden gems waiting to be discovered, and Northwest is one of them.The duo, Ignacio Simón, producer and Mariuca García-Lomas, vocals, now living in London have released 'Dimaryp' the first single from their forthcoming debut album. With influences ranging from triphop and dream pop to experimental electronica and contemporary classical music, Northwest have introduced a unique, beguiling slice of electronia to alternative music. 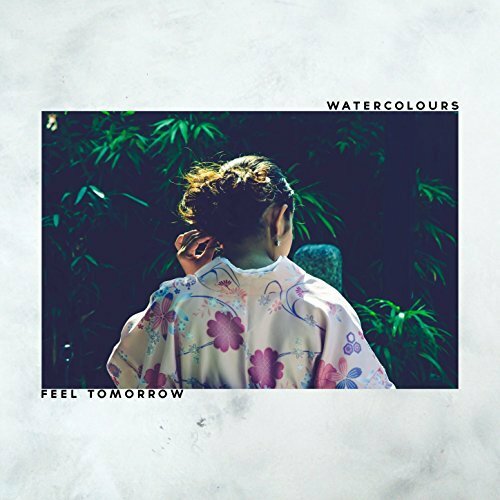 If you are a fan of the alluring sound of Agnes Obel, the creativeness of Radiohead or the delirious dream pop of the Cocteau Twins this music is for you.